P.S. 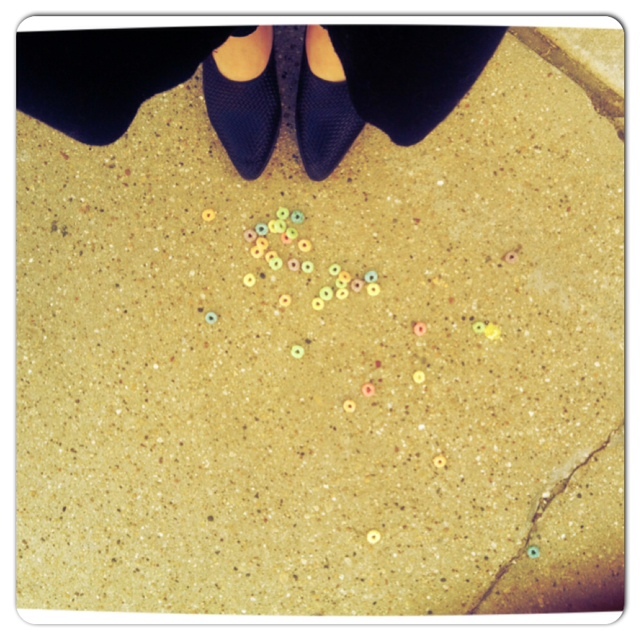 If you are wondering about this picture, while I was walking to meet a friend for drinks, I noticed this curious pile of Fruit Loops and just had to take a picture. Its been that kind of week! Enjoy! I don’t know about you, but my current watering can leaks all over the place, these are some really cool replacements. Another great ‘Dress Your Tech’ from by Design Love Fest– You can check them all out HERE. I love mixing up my desktop image from time to time since I spend so much time on my computer. Lazy Girl, I am so guilty of taking it easy when I workout, I feel like its enough to sometimes just make it to moving that it COUNTS, but as summer approaches I realize I need to change my game and take it up a notch. Here are some clues you might actually NOT be working out at all– just like me. Pretty easy and not that much of a change. Local to Chicago, this place looks amazing. A great DIY Ikea hack. Love it. Love the color too!